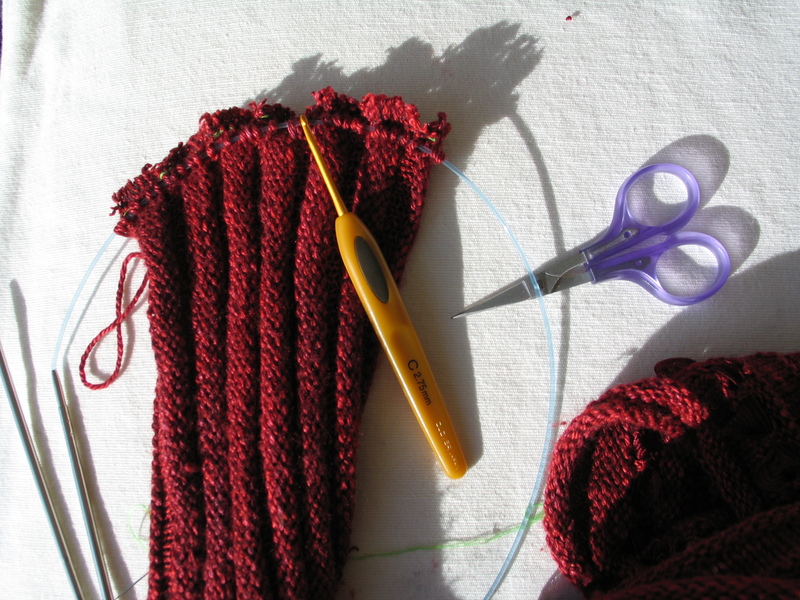 Using a sewing needle and contrasting thread, baste a guide thread along a column of stitches at a point about 1/4" above the finished length you would like to achieve. 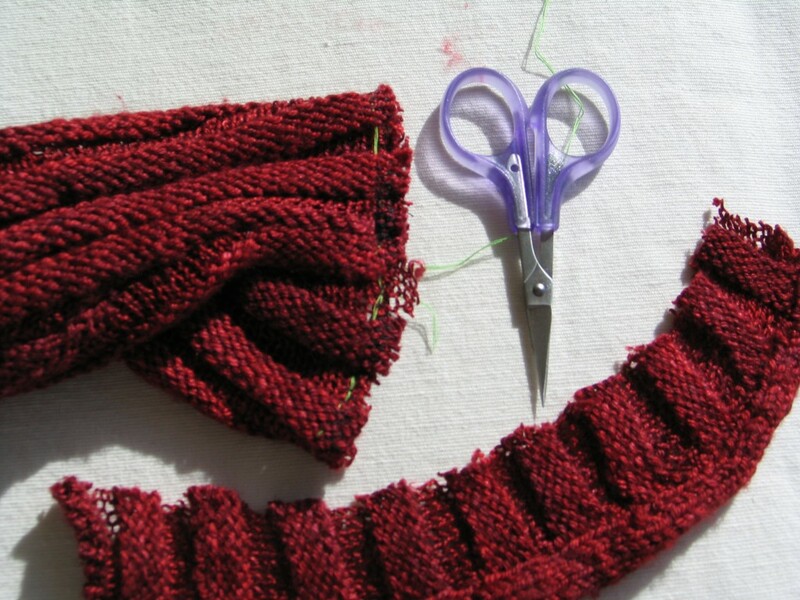 With a sewing machine, sew a line of zigzag or other stretchy stitch just below your basted line. Take a deep breath and a pair of sharp scissors and trim off the extra length of sleeve just below the machine sewn line of stitches; be careful not to cut into the machine stitches. 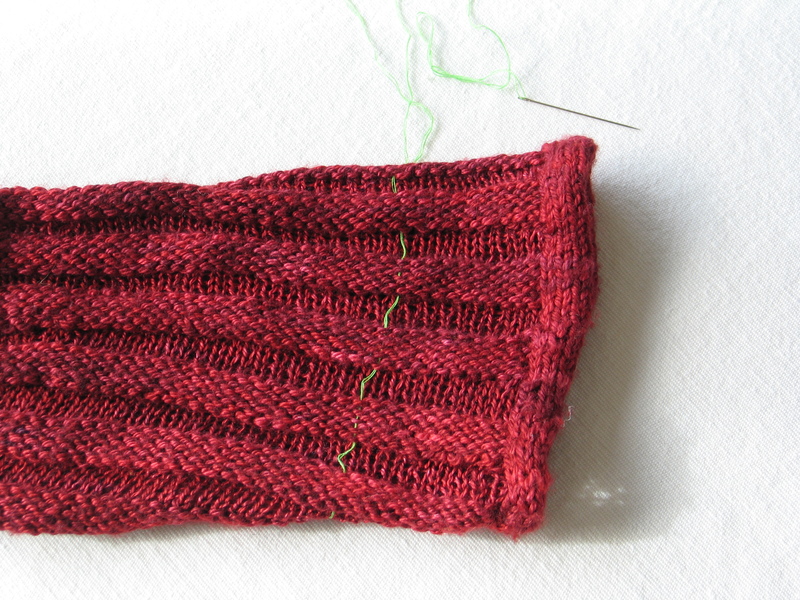 Decide how big the circumference of your cuff should be and multiply that by the stitch gauge in main pattern (not the stitch gauge given for adjusting sleeve length). Plan the distribution of the cuff stitches in relationship to the welts of the sleeve with slightly more stiches placed in the raised welts and slightly fewer in the recessed welts. With yarn held on the inside of the sleeve, use a crochet hook to pull a stitch through the sleeve and place it onto a circular needle or double point needles of the same size used to create the Swirl. (If using a circular needle you will need to employ the "Magic Loop" technique to deal with extra cable length. A number of video tutorials can be found on the web for working with the "Magic Loop".) Repeat until the desired number of stitches are on your needles. 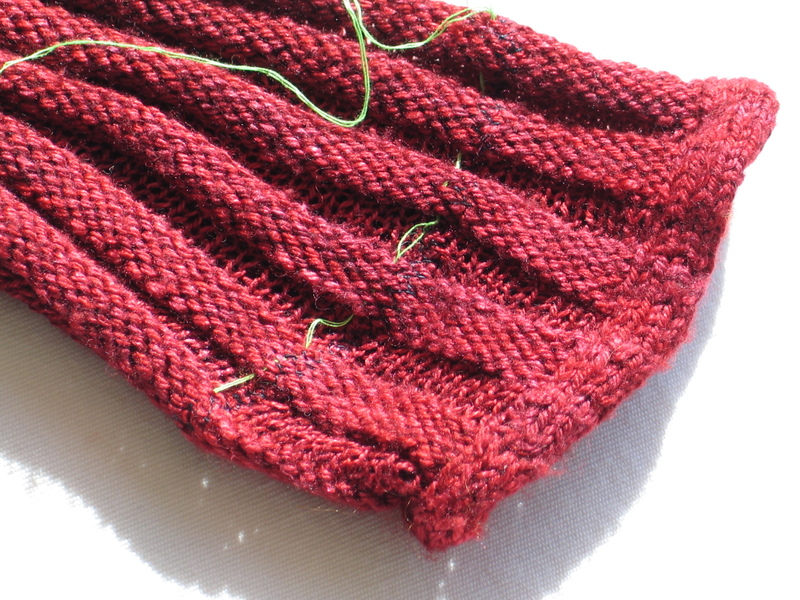 Unwind enough yarn to allow you to work ten rows of stitches and break yarn at that point. Use a crochet hook to pull the length of yarn through to the outside of the sleeve, then wind it into a small ball. 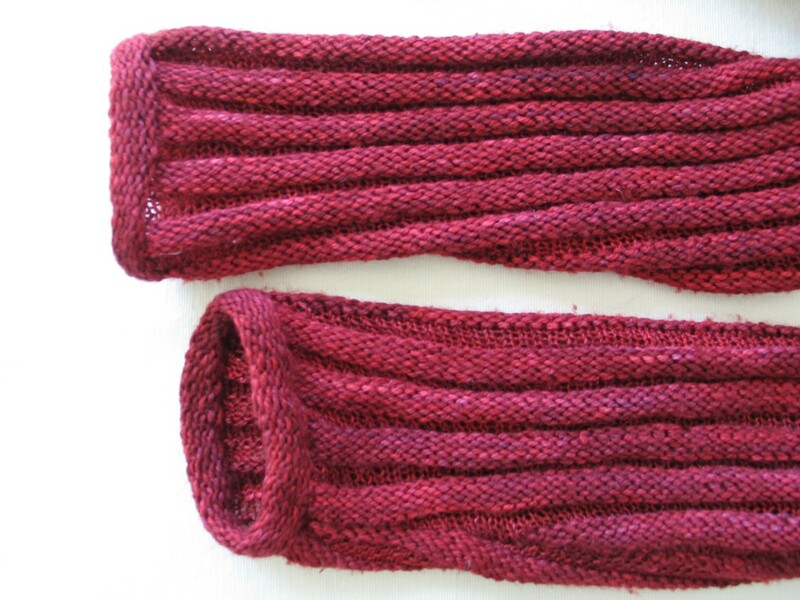 Purl ten rows then bind off using JSSBO, Jeny's Super Stretchy Bind Off. Fold cuff in half and use tapestry needle and matching yarn to sew edge of cuff to inside of sleeve along the machine sewn line.